Vans, the original action sports and one of the largest youth culture brands in the world, today announces the launch of its customer loyalty program, Vans Family. Renowned for its commitment to creative expression, Vans empowers brand loyalists and newcomers with its first customer loyalty initiative that delivers unique, "Off The Wall" experiences and features customized to each consumer's interests. 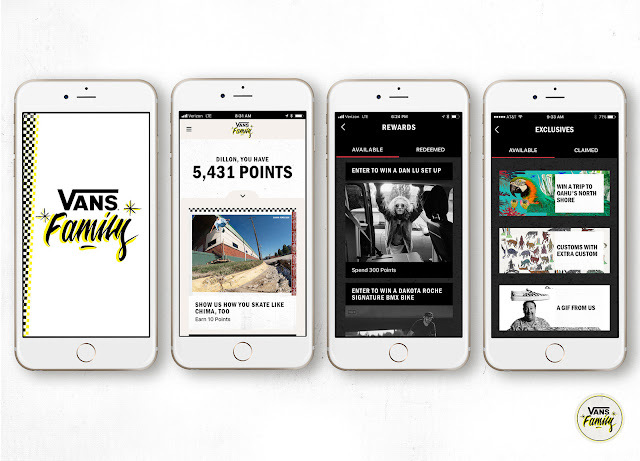 Vans Family is an interactive and intuitive loyalty program designed to recognize, reward and celebrate Vans fans for who they are and what they like to do. As a part of the Family, members will get insider information, access to member-only contests and experiences, and sneak previews of upcoming product releases. Members will also get points for shopping and for engaging with the brand. As an added bonus, Family members will also have access to exclusive patterns to customize footwear and accessories in the Vans Customs platform. 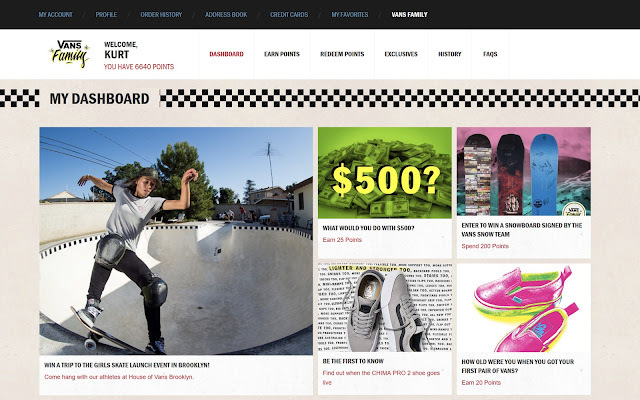 "The Vans Family loyalty program will engage our fans—from newcomers to loyalists—as individuals with unexpected experiences tailored to their personal interests," said Doug Palladini, Vans Global Brand President. "In doing so, we are creating authentic connections with people who like Vans, deepening our relationships with them, and creating new pathways to interact in relevant ways." Vans Family is now available in the US nationwide. To join the Family, visit www.vans.com/family or download the Vans Family app via the Apple App Store or Google Play.